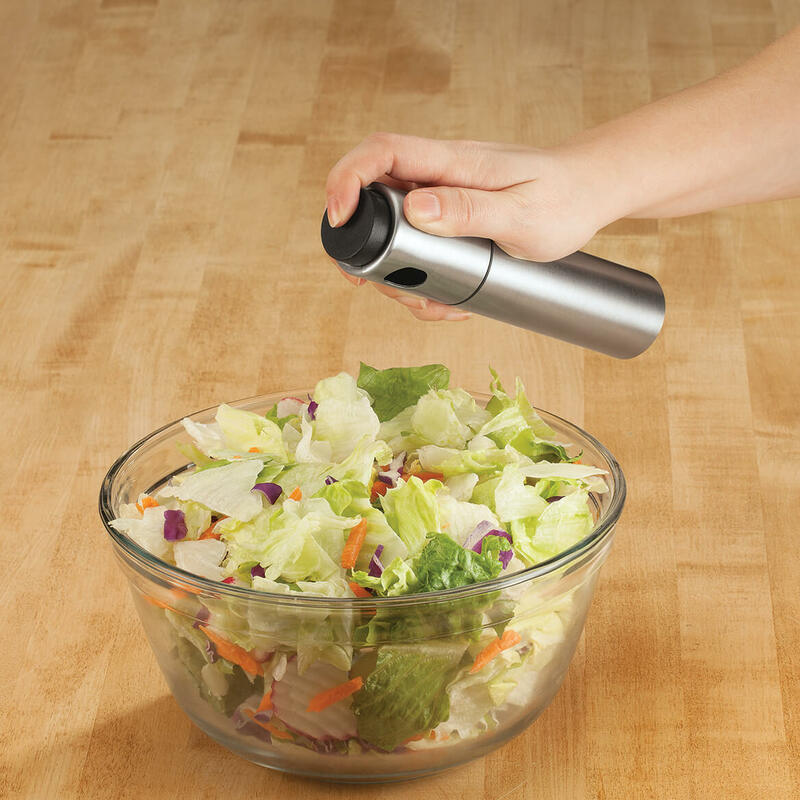 Easiest way to spray salads and also when cooking. Great pump mister,my wife loves it! I would give this product 5 stars, but if used with oil only, it is a bit of an effort to spray. 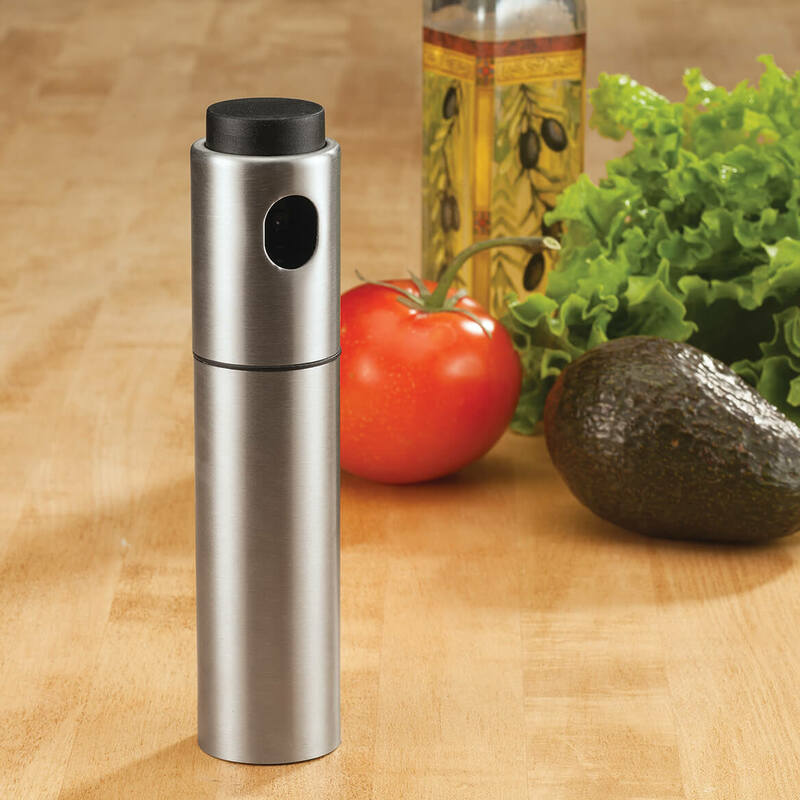 I bought 2, & the one I use for spritzing my salads with vinegar & oil is perfect, except, only use vinegar & oil, as any spices added will clog up the spray hole. Stainless outer shell on a dollar store plastic pump squirt bottle. Filled with EVOO, hoped for a nicely spaced spritz, instead got a small stream and a lot of dribbling down into the gap between the spray hole and stainless casing, which is impossible to clean. Very disappointed..
To make my life easier in kitchen. I will use the atomizer to spritz EVOO onto salads instead of pouring it from a carafe. It will help me limit how much oil I use. I chose this item to spray vegetable oil on items to be cooked in my hot air fryer. I’m hoping it works with EVOO.